Jasper’s a charming little town in the heart of the Jasper national park in western Alberta, that’s kept hold of its authentic Rockie mountain feel, despite the opening of the ski resort back in the sixties. As it is a bit more remote than some of the other familiar Canadian resorts from the main international airports means Jasper never feels busy. 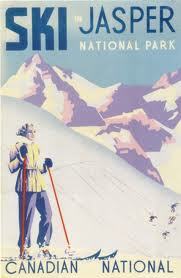 It is just a short bus journey from the centre of Jasper town to the Marmot Basin ski area. One thing skiers notice about the Marmot Basin area is how well laid out the area is. So whatever conditions your ready to ski next, it’s very easy to navigate the four distinct areas of the mountain and find what you are looking for. Whether that’s gentle winding trails, alpine bowls, steep chutes or pine glade tree runs. 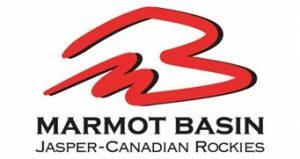 Marmot Basin also has a fantastic long season, and regularly opens from mid November till late May. Ski-lifts can offer two choices for airport transfers between Calgary airport and Jasper. Either the standard private transfer, or a coach transfer for larger groups. As well as this there is a shared transfer option from Edmonton airport to Jasper. Please use the quote generator for more details on our transfer prices, choose the option that suits you best and make your booking online. Booking your airport transfer to Jasper in advance with Ski-Lifts is one of the easiest ways of getting to Jasper. It can save you time and money when compared to getting a taxi to Jasper from the airport.